Nicole Nolan began her career in academic librarianship at Western University as a Research and Instructional Services Librarian in the C. B. “Bud” Johnston Library (business library). She explored various roles in academic libraries by taking opportunities including Acting Director of the C.B. “Bud” Johnston Library (business library) and Acting AUL (Services). 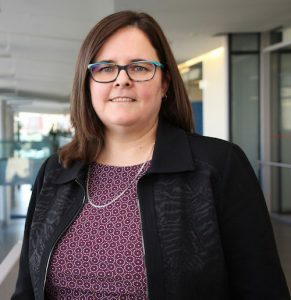 Nicole is currently Associate University Librarian, Research, at Brock University where she has been since October 2017.